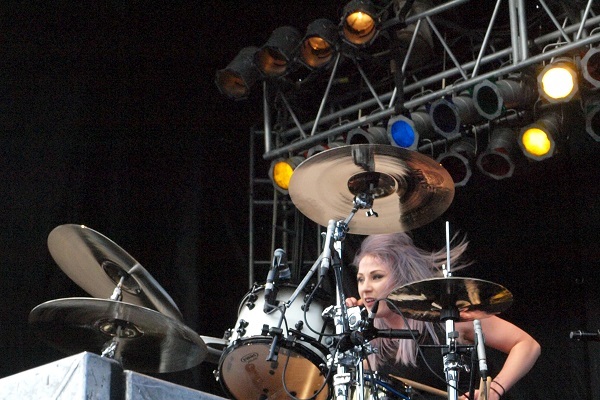 Skillet drummer Jen Ledger is gearing up to release her debut solo release. According to Billboard, Ledger will release her a solo EP, simply named “Ledger,” on April 13. The album features production from Korey Cooper of Skillet and Seth Moseley, the latter who has worked with Christian acts Newsboys, Francesca Battistelli and For King & Country. Ledger will serve as the opening acts for Skillet on the group’s upcoming Joy.UNLEASHED tour, which will set off April 12 in Amarillo, Texas.